The motets are relatively unusual in that the texts are mainly from the New Testament, which can be explained by the distinctive nature of the church for which they were written, the Duke of Mantua's chapel of Santa Barbara. Though Giaches de Wert (1535 - 1596) was born in the Low Countries, his youth and maturity were all spent in Italy where he developed a relationship with the court at Ferrara and was influenced by Cipriano de Rore (1515/16 - 1565). From 1565 Giaches de Wert was maestro di cappella in the Duke of Mantua's recently completed chapel of Santa Barbara and he was to remain there for the rest of his life. So Giaches de Wert overlapped with Monteverdi (1567-1643) who started to work for the Duke of Mantua as a vocalist and viol player during de Wert's latter years. And de Wert is regarded as an influence on Monteverdi's madrigals and writing in the seconda prattica. Unsurprisingly, Giaches de Wert's motets are all in the prima prattica style which has a lineage from Palestrina (1525-1594). The motets were all written for the Duke's chapel, and the Duke had a special dispensation from the pope to use his own liturgy at the chapel of Santa Barbara, which mean that polyphonic settings were used for parts of the service which would be spoken or intoned elsewhere. This was completely at odds with the general trend towards standardisation as a result of the reforms arising from the Tridentine Council (1545-1565). The result is a sequence of highly wrought and sometimes rather intense motets, with de Wert often setting chunks of dialogue. Some of the motets are particularly large scale, with Peccavi super numerum (setting part of Psalm 50) lasting over eight minutes and a couple of others coming in at over seven. Clearly the liturgy allowed for quite a degree of expansion in the music. 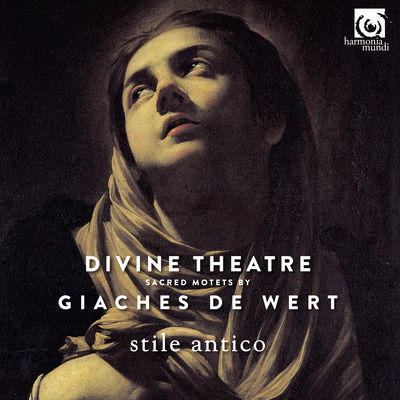 The motets are all for five and six voices, which gives de Wert great scope for articulating his longer textual passages with different voices. Stile Antico performs with 13 singers (3:3:4:3) and varies the texture by performing four of the motets one singer per part. Whilst I can understand the reasons for this, I felt that the larger scale of the tutti performances suited the music better. This is beautifully crafted and eloquently expressive polyphony, and is sung in Stile Antico's finest style. They bring out the line in the music, creating a beautiful sense of legato texture and a feeling of voices ebbing and flowing. This is music whose surface beauty is such that it is fatally easy to let it simply wash over you, but there is more to de Wert than that and the quality of these performances make us want to come back to the music and explore deeper.